user warning: Table './active5_foxes/cache_filter' is marked as crashed and should be repaired query: SELECT data, created, headers, expire, serialized FROM cache_filter WHERE cid = '2:89a2c383939975a3ca831678e008c309' in /home/active5/public_html/drupal6_multisite/includes/cache.inc on line 25.
user warning: Table './active5_foxes/cache_filter' is marked as crashed and should be repaired query: UPDATE cache_filter SET data = '<p class=\"rtecenter\"><img alt=\"\" src=\"http://www.catchingfoxes.com/sites/www.catchingfoxes.com/files/resize/blog/IMG_2592-486x365.jpg\" style=\"border-width: 5px; border-style: solid; margin: 10px; width: 486px; height: 365px;\" title=\"\" width=\"486\" height=\"365\" /></p>\n<p>We gather four times around the table today. &nbsp;Waiting until everyone is there. Waiting to give thanks for our food. &nbsp;It all takes hours. &nbsp;The preparing, the serving, the waiting. Breakfast. Lunch. Dinner. Dessert - which happens hours later when a pie comes out of the oven. &nbsp;This eating stuff has taken my day.</p>\n<p><strong><span style=\"font-size:14px;\">I am tired.</span></strong></p>\n<p>I sit on the fireplace edge, not committing to conversation with the men at the table. &nbsp;Three generations laugh, joke, talk. &nbsp;First basketball, trucks, and then the welding project happening in the garage. &nbsp;I wait. &nbsp;My coffee is too hot. &nbsp;The house is hot after baking the pie. &nbsp;</p>\n<p>I look at their faces. &nbsp;<strong><span style=\"font-size:14px;\">They enjoy one another, they enjoy being here at this moment over pie. </span></strong>&nbsp;I want to enjoy this. But making it happen has taken so much today.</p>\n<p>I know within weeks the opportunity to linger four times around the table in one day&nbsp;will be gone. &nbsp;Sons are leaving soon for summer jobs in far away places. &nbsp;Will someone make them pie? &nbsp;Who will they eat with? I retreat further from the table in preparation of letting them go.</p>\n<p>They pass the cool whip. &nbsp;&quot;Where is your piece?&quot; someone asks, nodding to me.</p>\n<p>&quot;I don&#39;t like pie. I make it for you.&quot; &nbsp;<strong><span style=\"font-size:14px;\">My voice tone doesn&#39;t imply the pie is a gift.&nbsp;</span></strong></p>\n<p>&quot;I don&#39;t like pie either,&quot; offers the oldest son at the table. He sees my tiredness. <strong><span style=\"font-size:14px;\">He stopped his welding and came to the table to be with the others while they ate pie.</span></strong>&nbsp;Like me, he eats nothing. Unlike me, he is at the table. &nbsp;&quot;Cheesecake is about the closest thing to pie that I&#39;ll eat.&quot; &nbsp;He flashes me a smile. &nbsp;A hint. He knows, better than I, that my heart wants this moment. &nbsp;I make a mental note to make him cheesecake before he leaves.&nbsp;</p>\n<p><strong><span style=\"font-size:14px;\">I lean forward, wanting to be at the table now. &nbsp;</span></strong>&quot;I would prefer a piece of chocolate,&quot; I say with a smile. Of course, the men know this already; &nbsp;they nod in agreement. &nbsp;We talk. &nbsp;We wait for one another. We eat fruit pie.&nbsp;</p>\n<p>Fruit. <strong><span style=\"font-size:14px;\">&nbsp;&quot;Preserving the fruit of life through tough times.&quot; </span></strong>&nbsp;My blog subtitle. Ironic. Today, the tough time become the fruit of life.&nbsp;</p>\n', created = 1555820072, expire = 1555906472, headers = '', serialized = 0 WHERE cid = '2:89a2c383939975a3ca831678e008c309' in /home/active5/public_html/drupal6_multisite/includes/cache.inc on line 108.
user warning: Table './active5_foxes/cache_filter' is marked as crashed and should be repaired query: UPDATE cache_filter SET data = '<p class=\"rtecenter\" style=\"\"><a href=\"http://www.facebook.com/CatchingFoxes\" target=\"_blank\"><img alt=\"\" src=\"/sites/www.catchingfoxes.com/files/resize/social/facebook-64x64.png\" style=\"text-align: center; width: 64px; height: 64px; \" width=\"64\" height=\"64\" /></a><a href=\"http://pinterest.com/kimmrankin/\" target=\"_blank\"><img alt=\"\" src=\"/sites/www.catchingfoxes.com/files/resize/social/big-p-button-64x64.png\" style=\"width: 64px; height: 64px; \" width=\"64\" height=\"64\" /></a><a href=\"mailto:kim@catchingfoxes.com\" target=\"_blank\"><img alt=\"\" src=\"/sites/www.catchingfoxes.com/files/resize/social/mail-64x64.png\" style=\"width: 64px; height: 64px; \" width=\"64\" height=\"64\" /></a><a href=\"http://www.catchingfoxes.com/rss.xml\" target=\"_blank\"><img alt=\"\" src=\"/sites/www.catchingfoxes.com/files/resize/social/rss-64x64.png\" style=\"width: 64px; height: 64px; \" width=\"64\" height=\"64\" /></a></p>\n', created = 1555820072, expire = 1555906472, headers = '', serialized = 0 WHERE cid = '2:48be9f28bc948ea32b70445d0a590c98' in /home/active5/public_html/drupal6_multisite/includes/cache.inc on line 108.
user warning: Table './active5_foxes/cache_filter' is marked as crashed and should be repaired query: UPDATE cache_filter SET data = '<div class=\"fb-like\" data-font=\"verdana\" data-href=\"http://www.facebook.com/CatchingFoxes\" data-send=\"false\" data-show-faces=\"true\" data-width=\"280\">\n	&nbsp;</div>\n', created = 1555820072, expire = 1555906472, headers = '', serialized = 0 WHERE cid = '2:854065b9b61ff8596c8fa62e384317c7' in /home/active5/public_html/drupal6_multisite/includes/cache.inc on line 108.
user warning: Table './active5_foxes/cache_filter' is marked as crashed and should be repaired query: UPDATE cache_filter SET data = '<p><strong>Catch for us the foxes, the little foxes that ruin the vineyards, our vineyards that are in bloom. </strong><br /><em>Song of Solomon 2:15 NIV</em></p>\n<p>Metaphorically, the &quot;foxes&quot; are the damaging attitudes and actions that can creep in and threaten the love relationship of a couple and a home. &nbsp;Catching Foxes is committed to being a resource as you guard against the things that might injure and destroy the harvest you are striving to grow in your home.</p>\n', created = 1555820072, expire = 1555906472, headers = '', serialized = 0 WHERE cid = '2:132a8457abcc78748ef29251eaa8f1d7' in /home/active5/public_html/drupal6_multisite/includes/cache.inc on line 108.
user warning: Table './active5_foxes/cache_filter' is marked as crashed and should be repaired query: UPDATE cache_filter SET data = '<p><a href=\"mailto:kim@catchingfoxes.com\">kim@catchingfoxes.com</a></p>\n', created = 1555820072, expire = 1555906472, headers = '', serialized = 0 WHERE cid = '2:fe7b2055d10a2c25c439ca4710d86502' in /home/active5/public_html/drupal6_multisite/includes/cache.inc on line 108. We gather four times around the table today. Waiting until everyone is there. Waiting to give thanks for our food. It all takes hours. The preparing, the serving, the waiting. Breakfast. Lunch. Dinner. Dessert - which happens hours later when a pie comes out of the oven. This eating stuff has taken my day. 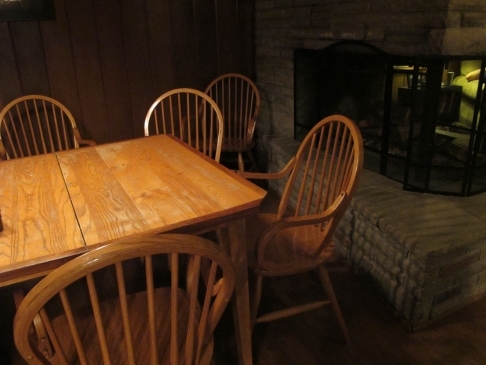 I sit on the fireplace edge, not committing to conversation with the men at the table. Three generations laugh, joke, talk. First basketball, trucks, and then the welding project happening in the garage. I wait. My coffee is too hot. The house is hot after baking the pie. I look at their faces. They enjoy one another, they enjoy being here at this moment over pie. I want to enjoy this. But making it happen has taken so much today. I know within weeks the opportunity to linger four times around the table in one day will be gone. Sons are leaving soon for summer jobs in far away places. Will someone make them pie? Who will they eat with? I retreat further from the table in preparation of letting them go. They pass the cool whip. "Where is your piece?" someone asks, nodding to me. "I don't like pie. I make it for you." My voice tone doesn't imply the pie is a gift. "I don't like pie either," offers the oldest son at the table. He sees my tiredness. He stopped his welding and came to the table to be with the others while they ate pie. Like me, he eats nothing. Unlike me, he is at the table. "Cheesecake is about the closest thing to pie that I'll eat." He flashes me a smile. A hint. He knows, better than I, that my heart wants this moment. I make a mental note to make him cheesecake before he leaves. I lean forward, wanting to be at the table now. "I would prefer a piece of chocolate," I say with a smile. Of course, the men know this already; they nod in agreement. We talk. We wait for one another. We eat fruit pie. Fruit. "Preserving the fruit of life through tough times." My blog subtitle. Ironic. Today, the tough time become the fruit of life.